Cub Scouts is fun! We encourage all Cub Scouts to complete their main annual badges. However, that is not mandatory. If you feel like your Scout is enjoying Cub Scouts and gaining from it, then you’re doing enough! Den meetings, where the Scouts do their core activities. They are generally one hour long and happen twice a month. Each den is about 8 Scouts of the same grade. The den’s meeting schedule is ultimately a decision of that den’s families. Parents can coordinate make up activities for missed meetings with their Scout’s den leader. Monthly pack activities. These are where the entire pack meets together. These are enjoyable and recommended. It is up to each family to decide if they fit in their schedule. Occasional pack-wide fine arts, entertainment, or fun activities. These are optional enrichment and fun. Sometimes, they also satisfy badge requirements. 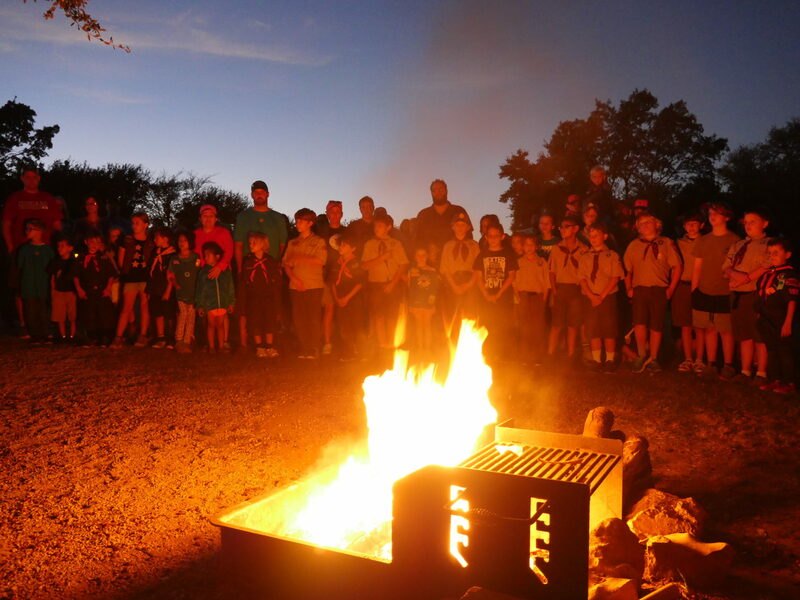 No Scout will be denied Cub Scouts due to financial need. If financial assistance is needed, please discuss with a pack leader. $75 annual dues, which covers national membership, Boys’ Life magazine, and pack dues. A uniform and handbook, which generally cost around $100 new, much less if purchased used (check eBay, Craigslist, etc.). (Tip: if purchasing used, watch for patch glue under existing patches.) Additional expense may be incurred if you elect to have a tailor sew on patches, but parents can give an idea of low-cost tailors. The dues cover most expenses for several activities, like pinewood derby, water bottle rockets, and more. Dues also cover most badges that are awarded for advancement. Some activities may have separate costs. For example, family campouts generally have additional costs to pay for campsites and some meals.